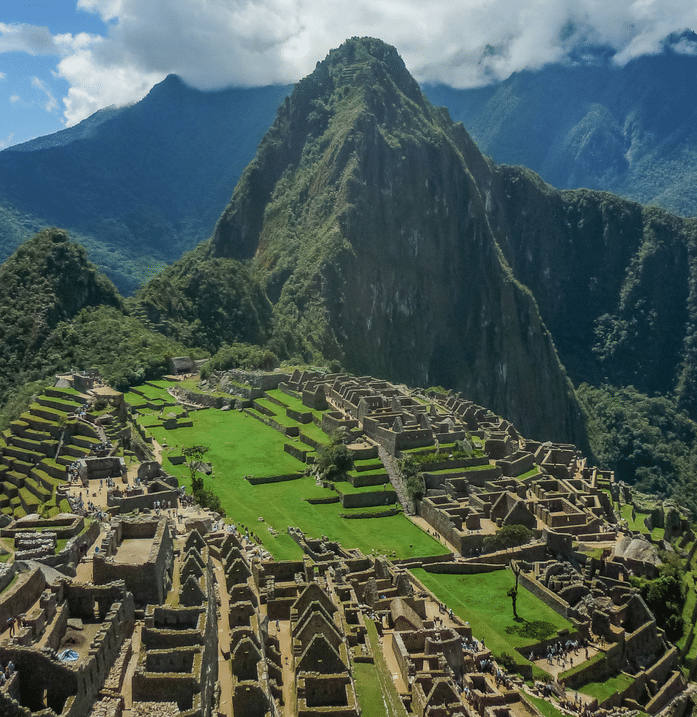 With our Machu Picchu Packing List, planning your trip to Peru’s mystical ancient ruins just got easier! Once you’ve locked in your spot on either the Inca Trail, or the Inca Jungle Trek, the next step is to figure out what you’ll need to bring with you, and to purchase what you don’t already have. Since the research and packing processes can be overwhelming for a trip like this, we’ve compiled a list of everything you’ll need on your trek. Here is the ultimate Machu Picchu packing list, complete with explanations for why you need each item, and links to purchase items we recommend. A pair of high-quality, waterproof hiking boots are the most important item on this Machu Picchu packing list! After all, you’ll be hiking for 4 days straight! If you don’t already have a pair, we recommend these boots for women and these boots for men; both pairs are waterproof, extremely comfortable, and will last you for years! Depending on the trail you choose to trek, and whether or not you have a porter, the backpack size you’ll need will vary. Some trekking companies ask that you pack a duffle bag and carry a daypack with you. Other companies will ask you to simply pack everything you’ll need into a large backpack. Ideally, your backpack will be very durable and will include a hydration bladder/water reservoir; we recommend this daypack and this large pack. For your trek, you’ll need 4 different shirts. Preferably, these will be exercise shirts that are lightweight and dry quickly. We recommend shirts like this for women, and shirts like this for men. It can get cold on the Inca Trail, especially at night. Bringing a warm, insulated jacket is a good idea, especially if it doubles as a waterproof jacket. We recommend this jacket for women, and this jacket for men! If it’s very cold, you can layer up with a lightweight fleece jacket. This is another essential item on your Machu Picchu packing list. We recommend this fleece jacket for women, and this fleece jacket for men! If you’ve booked your trek during the rainy season (November through April), you can bet that you’ll need a poncho. Even if you’re trekking during the dry season (May through October), there’s always a chance of rain. Prepare for this, and purchase a high-quality poncho that will cover you and your backpack, or wear a waterproof jacket, like those shown above. You’ll also need 2-3 pairs of hiking pants. Preferably, your hiking pants will be waterproof, very durable, stretch for mobility, and convert into capris or shorts. When it comes to hiking pants, we highly recommend these for women and these for men. Sometimes, temperatures can exceed 75°F (24°C) during the day. If your hiking pants don’t convert into shorts, consider buying a pair of hiking shorts, such as these for women, or these for men. Staying hydrated is super important on this trek. If you don’t have a backpack with a hydration bladder, make sure to pack a large vacuum-insulated water bottle, like this one, which will keep your water at a prime drinking temperature all day long. A headlamp (or a flashlight) is necessary for your trek to Machu Picchu. If you’ve chosen to camp, you’ll need to see in the dark every night. If you’re not camping, most likely, you’ll still opt to climb up to Machu Picchu at around 4:30 a.m., to arrive at the ruins before sunrise. Either way, you’re going to need a headlamp or flashlight! We recommend this headlamp, which comes with free shipping! Nobody wants to be eaten alive by mosquitos and other insects — especially not on vacation! But you surely will be, without insect repellent. Make sure to pack these amazing repellent towelettes that will keep the bugs away, and keep you feeling clean, or a traditional can of repellent spray. Trekking poles are optional, but keep in mind that the trek to Machu Picchu is no joke. With steep inclines and declines, trekking poles will make for an easier trek, helping to keep your balance and support your weight, conserve energy, and ease back strain. We recommend these sturdy trekking poles, which also collapse for easy packing. No doubt, you’re going to want to document your entire trekking experience, especially when you finally reach the wondrous ruins of Machu Picchu! Make sure you bring along either a DSLR camera or a great point-and-shoot camera! If you’re going on the Inca Jungle Trek, you’ll even have the chance to river raft, zipline, and bike; in moments like these, you’ll be thankful you brought along your GoPro (in a waterproof case)! Depending on the trek you booked, some of these items may be optional. Read each description to find out more. 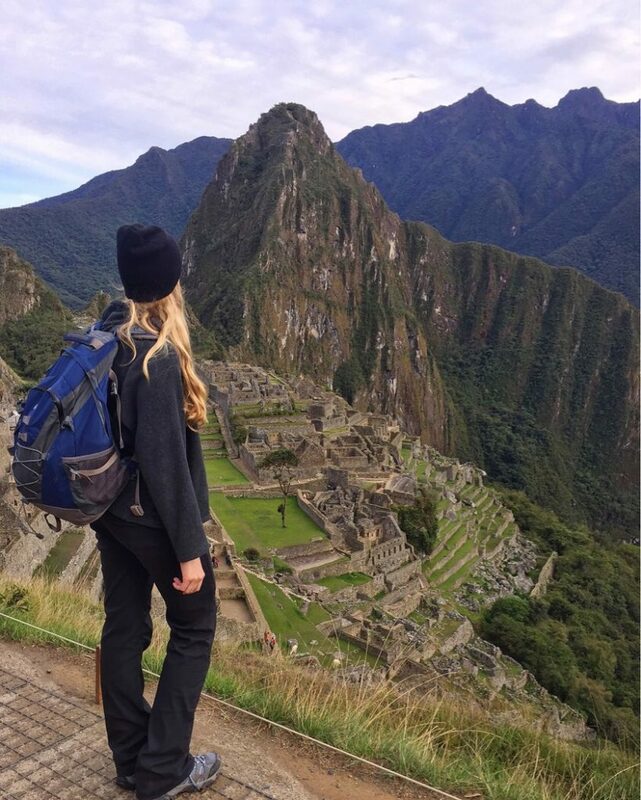 Long socks are a must on this Machu Picchu packing list. Wearing longer socks will prevent the annoyance of dirt and rocks slipping into your socks. Pack enough underwear so you won’t need to wash any midway through your trek. However, if you don’t mind doing so, and have quick-drying underwear, then you might prefer to pack 2-3 pairs, instead of 5. You’ll be happy that you packed a couple of sports bras, rather than just regular bras! Bring a few small packs of baby wipes to keep yourself clean throughout the day, and after using restrooms. Baby wipes are a must if your trekking option does not include showers! You might need to bring your own toilet paper to use restrooms as you trek. If you’ve chosen to camp, you’ll most likely need it throughout the nights, too. Double check with your trekking company! Make sure to pack all of your toiletries, such as shampoo, toothbrushes, toothpaste, and any medicine you might need. Does your trek include showers? You might want to wear flip flops while in the shower, for sanitary purposes. Also after a long day of hiking, you’ll want nothing more than to take off your boots; in this case, you might want to swap your boots for sandals. Does your accommodation provide bed sheets? You might need to bring your own. Check with your trekking company! You may be required to bring/rent a sleeping bag. Check with your trekking company! If your accommodation has showers, does it also supply towels? You might need to bring one quick-drying bath towel. Check with your trekking company! Does your trek include a stop in Aguas Calientes to enjoy the natural hot springs? Will you go water rafting on your trip? If so, you’ll need a bathing suit. Bad sunburns and day-long hikes don’t mesh well. Bring sunscreen to protect yourself against UV rays! Sunglasses are essential for almost any hike, right? If you wish, bring a hat to block out the sun and to keep your hair under control! You might also consider packing a beanie if you’re camping or trekking during the rainy season. If you’d like to, pack some granola bars, beef jerky, trail mix, etc., to stay energized during your trek. Make sure to pack your important papers and keep them close by at all times! Keep your passport and other important papers safe from the elements in a waterproof, plastic bag. Bring a deck of playing cards to entertain yourselves come nightfall. If you enjoy reading, it’s also a good idea to bring along a Kindle or iPad. Why not purchase Peru guidebooks and learn more about Peru’s history and culture? There you have it, everybody! That’s our Machu Picchu Packing List. Be sure to cross everything off this list as you prepare for your trip, and make sure to purchase everything you need for the trek well in advance. We wish you all a beautiful vacation in Peru! Have you trekked to Machu Picchu before? What would you add to this Machu Picchu packing list? *This post contains affiliate links. When you make a purchase via links on this page, Travel Alphas makes a commission, at no extra cost to you! Thank you for your support in keeping this website running. Machu Picchu has been on my bucket list for far too long! I would love to visit this amazing ancient site one day! When I do I will certainly come back to this packing list – the trekking poles are definitely something I should not forget to pack! Great packing list, I haven’t been but it looks like a trip of a lifetime. I just recently bought a GoPro and have been loving it. This would definitely be something I’d bring on a hiking trip. Literally cannot wait to hear about your trip to Machu Picchu!!! Your photos are going to be amazing, I already know it. When are you going? This wil be useful for me when I will finaly be able to go see it, it kind of is my dream !! Thanks Natalie. We are so excited for it. Can’t wait to share the adventure. Machu Picchu has been on my bucket list for so long. Can’t wait to visit one day! It was absolutely incredible. Can’t wait to share more about it once we’re back in the States. You should also bring some snacks with you when hiking the Inca Trail, especially for Day #2 for Dead Woman’s Pass. I was fine on the second day up until we were 500 meters below Dead Woman’s Pass. It doesn’t seem like a lot of steps, but trust me when I say that it is at that altitude when you are dehydrated and low on energy. It took me nearly an hour to climb up that remaining section as I had to rely on one of my friends for some sustenance with her protein bars. Hate to admit I haven’t done this trek yet! Looks totally delightful though… One item I always regret forgetting is waterproof speakers! You should! It’s absolutely incredible. Can’t wait to share more about it soon!